Results for the April LCP match have been posted. Thanks to everyone that came out and braved the heat... oh wait.... what a perfect day to play cowboy! Results for the Ides Of March should be posted shortly? Working on it, I promise. Posted. if you haven't liked the LCP club page you will have to navigate to https://actionshootingnetwork.com/lcp/ and click on the Match results in the club page menu. If you have liked the page just mouse over the Lake County Pistoleros icon on the left. Great job and loved the pictures! Mrs Red enjoyed meeting you and Madame Moog...see you at Ruskin! It was very nice to meet Mrs Red this weekend!! Dates are marked on my calendar. The shooting is always wonderful, regardless of how I perform, but it is the people that make these events such a fantastic experience. Loved seeing all of my normal Cowboy pards, of course, and truly cherished getting to meet and know new friends. Can't wait to s...View MoreDates are marked on my calendar. The shooting is always wonderful, regardless of how I perform, but it is the people that make these events such a fantastic experience. Loved seeing all of my normal Cowboy pards, of course, and truly cherished getting to meet and know new friends. Can't wait to see you on the trail someday soon. Thank you Smart *, Greta, Sunshine and EVERYONE else that had anything to do with making this a phenomenal weekend. Thank you for donating the knife, I think Cowboy Casanova was shocked to hear his name called. Love having you at the match. Smart*, you know I carry my gloves to every match and will be honored to help tear down. Wish I could be there to set up, but not this time. Can't wait for "The Ides." Will be there..drills, bits, anything else? saws? power washers? cut offs? Where & when will the scores be posted? Schoolmarm and I enjoyed the match! If you like the Lake County Pistoleros club page, when the score are posted you will get a notification. I had a great time at the shoot this weekend! Great stages, great range, great company. I am really excited for the Ides which will be my first multi day shoot. See you guys in less than a month. Thanks to everyone who attended the LCP January match. With a total of 48 shooters, we had three lively posse's for the six stages. I really do appreciate all the feedback that my fellow shooters ar...View MoreThanks to everyone who attended the LCP January match. With a total of 48 shooters, we had three lively posse's for the six stages. I really do appreciate all the feedback that my fellow shooters are giving me as I gain knowledge and insight into the mystical art of writing stages. I promise to continue to improve the stage descriptions. I will let everyone know that I have reached out and received input on the IoM stages and will be incorporating these suggestions into the 10 stages for IoM. 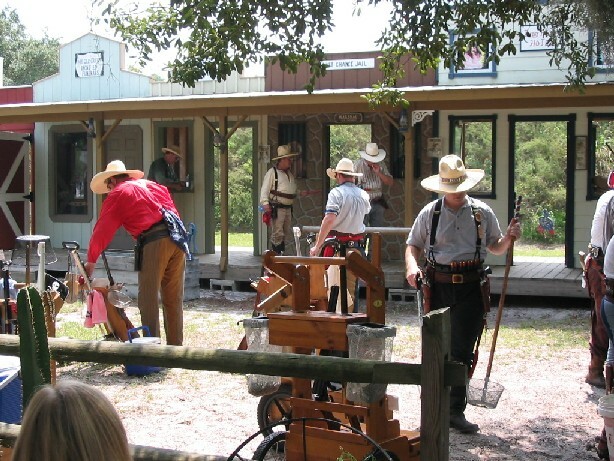 Again the theme is Songs of the Old West on stage and in movies As March draws ever nearer I am in need of setup help. We have only one day to setup the 10 stages, March14. If you can lead a hand please let me know. If you have a flatbed trailer we can use to move targets that would be much appreciated. If you just have a pair of gloves and a desire to be part of the 17 annual IoM then come down and help. We will provide food and drink for all helpers. You don't need to dress cowboy to help. Was a good match. I had fun even though i got dirt in my shotgun.